I am a shameless Christmas LOVER (all caps utterly necessary). And although I put up a few personal ‘boundaries’ around my zeal (ie no Christmas music and movies until Thanksgiving), I begin thinking about Christmas months in advance. Everything about Christmas gets to me – the faith aspect, the festivities, the traditions, the gathering of loved ones, and the fact that so many people around the world share a similar focus during this one special time of year. Before Thanksgiving I usually set some plans in place (like how to de-clutter the house before Christmas), but it’s not until after our Day of Thanks that I unabashedly move into Christmas Mode. After that? No apologies. We are Christmasafying everything. I want the lead-up to Christmas to be full of parties and merriment and festivities, but also have a quiet and reflective element to it as well. There is certainly joy and worship in both approaches, so I hope to find a blend that works well for our family. 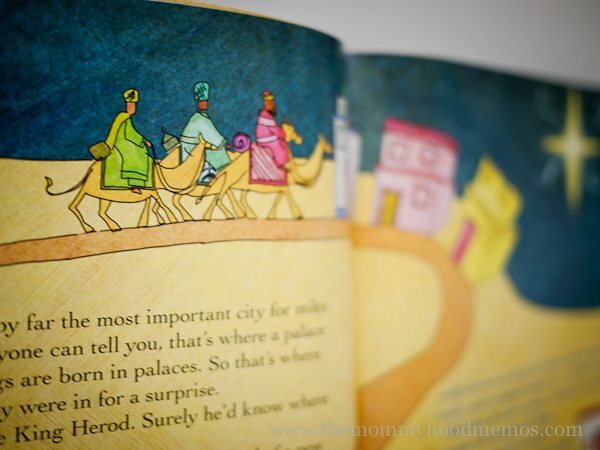 The Jesus Storybook Bible: Every Story Whispers His Name—have you read it? It’s seriously inspiring. The stories are so beautifully written and the illustrations are simply gorgeous. I love reading it as much as our littles do. 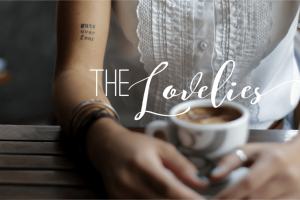 I recently learned from this blog that there are twenty-one stories it in from the Old Testament—each ending with a paragraph that ties into the imminent birth of Jesus—and then three stories from the New Testament leading up to (and surrounding) the birth story of Jesus. I wonder if author Sally Lloyd-Jones planned this perfect 24-day reading plan for December leading up to Christmas? Whether that was purposeful or not, no doubt Someone inspired her imagination as she wrote. Love it, love it, looooove it. Don’t have the Jesus Storybook Bible yet? Dear friends, do you observe Advent with your littles? What do you do? Love this idea friend! It’s perfect!! And I love the Jesus Storybook Bible too!! This is a great idea. My kids love this Bible (and so do I). My oldest likes to listen to the book-on-cd version during her afternoon quiet time. I’m glad to have a little outline to follow! Thanks. you’re welcome! we have it on cd too… but i actually haven’t every listened to it yet. need to get it in my itunes!! MJ @ Creative Madness Mama recently posted..Joy Takes Flight into the Alaskan Skies! love this and we absolutely ADORE the Jesus Storybook Bible. I was wondering what special things your “morning notes” will say. What’s your plan for the special things you will do each day as a family? would LOVE to know. thanks again for sharing the plan! I LOVE this!! I’m absolutely using this reading plan. Thanks so much!! Oh, this is PERFECT! 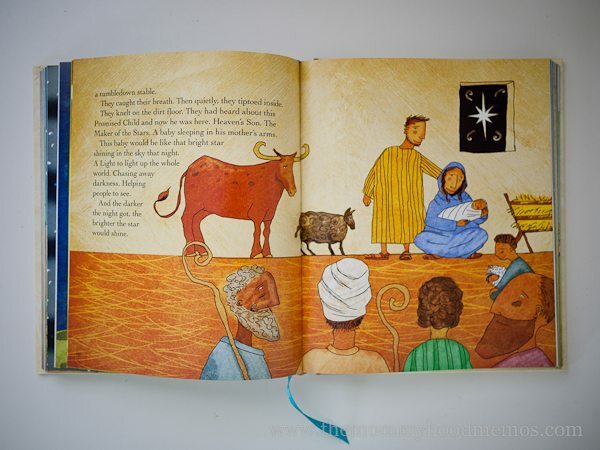 We’ve done various things through the years for Advent, but I’ve not seen anything based on the Jesus Storybook Bible. It is my absolute FAVORITE. We are so doing this. Thank you, Adriel! Megan at SortaCrunchy recently posted..Spirit-Led Parenting: Blog Book Club Discussion Tour! Love it! What a great idea, A! Adriel Booker recently posted..Because He never stops giving. Ever. I think this is a beautiful idea and I too LOVE the Jesus Storybook Bible. My oldest child is now 9, but before she was born, we were given the Advent Book. It is a beautifully illustrated book straight from scripture. The kids get to open a door each night and it has been fun to see them develop each year until now they can read it to us. So that is our favorite tradition! Hope your advent season is filled with JOY!!! Thank you so much for this reading plan. I wanted something simple that would highlight Jesus everyday. This is my answer!! Bless you! This little Bible is my FAV!!! Thanks for sharing this. I just pinned it to use for Advent as well! Adriel Booker recently posted..does this sort of thing happen to you, too? Love this! I have an advent storybook that I wrote– but it is the same thing. Stories from the Old Testament that foretell the birth of Christ and then the stories surrounding the birth. Thanks for sharing- I will definitely pass this on to friends who have the Jesus Storybook! wow, that sounds amazing. good on you for writing your own! I am so thankful for creative people like you who are willing to share with the rest of us who just need someone to give us a plan. 🙂 I loved reading how your family celebrates and your activity ideas and am excited to incorporate many of them in our home this year. Thank you so much! Blessings to you! Great printable…and of course, great resource in the JSBB! PS My link to my Jesse Tree in case you are interested. I’ve heard nothing but good things about this bible. Actually, it’s the bible that my church gives to each family when they dedicate their child at church. yes, it really is that good! and wow, that’s really amazing! what a great gift for families and bubbas at dedication!! Love this, Adriel. I will definitely be adding this to our Advent activities this year. Hope you have a great Christmas! Thanks for passing this along—we purchased this resource for our son some time ago, and then earlier this year my wife picked up a “deluxe edition” for our daughter. This plan is now our reading for Advent 2012. Im curious—has anyone out there ever used this “children’s” bible as a platform for witnessing to an adult? I’d love to hear how that went! Not sure about “witnessing” specifically Joshua, but I’ve certainly recommended it to MANY adults, especially those wanting to get an overview of the Bible and understand the Story more. I find it helps wet the appetite for getting into the “real” Bible – such beautiful illustrations and writing! This little idea has gone viral. Hooray! I pray it is helpful to lots of people – big and little. I wonder if Sally Lloyd-Jones knows how much we all love the JSSB and how wonderful it is use to at Christmas time. And guess what, my maiden name is Booker. How about that! Judging by the amount of merchandise and versions of the JSBB, I’d bet SLJ is at least a little bit aware of how much we love it. 😉 My question for her is, was the 24 stories an “accident” or on purpose??! So genius. Thank you again for your post when you originally discovered this a few years back. We are all so grateful and I know many (including me!) are now passing this idea onto their friends and family to enjoy as well! Merry Christmas to you, too. Thanks for this idea! We have been reading from the bible each night and adding an ornament to the tree that goes along with the reading. So far, we have Jesus, Son of God, Savior, and Emmanuel. I am wondering if the ornaments could be combined with the book. I just asked this same/similar question. Maybe a year later you have more insight? I’ve really been wanting to get my 2 year old “into” the Storybook Bible – It had still been a little old for him, he wouldn’t sit for long. When I saw this post I thought “what a GREAT idea”. I made an advent calendar with little pockets on it and printed out pictures from each of the stories (found them on google pics). I tied the pics with twine like scrolls and put them in the pockets on the calendar. Going to the chart and getting to unwrap a picture has really sparked my son’s interest (made it like a game). Today he was begging me all day long to read the “Bible Story” Thanks for posting! Beth, that’s such an awesome idea!! 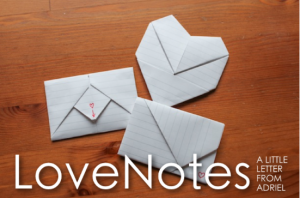 I really love it – so much more fun than just a note with writing on it. Very creative. I’m sure that will set a precedent now for your little one – no doubt he’ll get hooked on the JSBB. How could he not? That is just SO fun!!! And of course it’s SUCH a great book with amazing illustrations. Thanks for sharing your idea here. Hopefully others will read the comments and see it too. Also, I just clicked over to your website – WOW – I’ve never seen anything like those paintings before. I love them!! You are so creative! I need to get this children’s bible! Everyone keeps talking about it. Thanks for all the helpful links – we needed some more advent ideas! This is a great idea, I am so excited to get started! Do you know if there is a difference between the regular Jesus Storybook Bible and the Deluxe Edition? Is it the CD and DVD? Are they worth having? I just received the regular Bible from Amazon – so excited to start the Advent reading plan! I’m not sure of the differences actually. We have the CD but I honestly haven’t listened to it yet! The disk drive on my laptop is broken so I haven’t been able to download it into my itunes. Arg! thank you for sharing! we’ve been doing this and loving it! i shared and link to it on my blog today. love recently posted..out [and about]. you’re welcome! glad you’re passing it on. what a great thing for families to do together – especially this time of year! i am so so thankful i found this. i’ve been looking for the perfect advent activity and we have this bible at home… now time to play catch up! thank you! We love the Jesus the story book Bible! 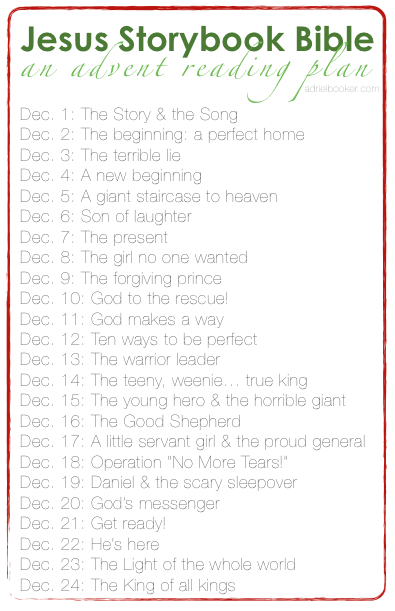 What a great advent reading plan. thank you for sharing!! hello–thanks so much Adriel. and everyone else for your wonderful comments. 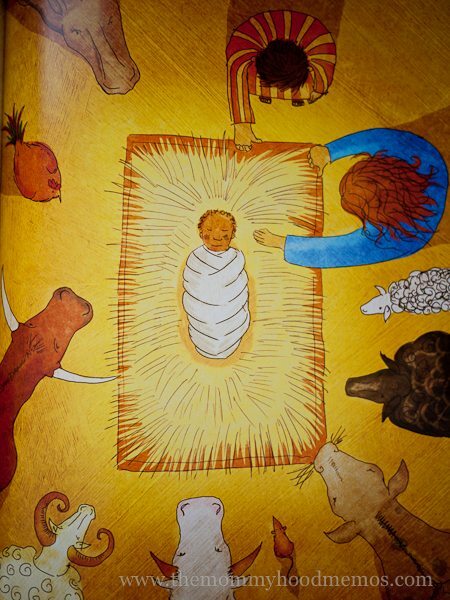 I found you via Google search for “Jesus Storybook Bible Advent”…first page! Kudos! My hubs and I and our four kids live in Malaysia (we’re Americans)…I wanted to leave a comment with a link for a Jesse-tree/Advent idea. The link is to a friend of mine’s blog who lives in China. I plan to take the 24 Jesus Storybook Bible stories and make little felt ornaments to coincide as part of the daily advent lead-up. In case you were interested, I thought I’d share the link! Blessings in your ministry and as you prepare for Advent! 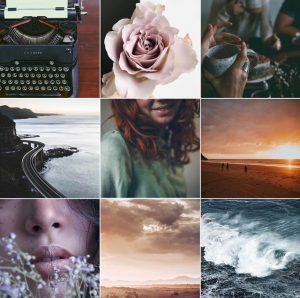 Thanks for the list of stories…I cry nearly every time with every story! I lived in Malaysia for a short time in 2000 – in Penang. LOVE. I was working with YWAM at the time and go back every possible chance I get. I absolutely fell in love with it! 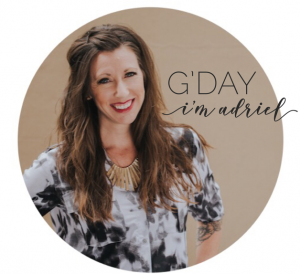 Adriel recently posted..Love Yourself – Is that buried within the Greatest Commandment? Well…..isn’t this a wonderful idea! I love it! We already read the first story, but I want to do this for Advent, but not sure I can wait. But, truely is a wonderful idea. Going to try and do it. The link for the printable ornaments arenot working for me. Can you help me get to it? Please. Did you get it to work for you? I don’t seem to have a problem. Thank you for putting this together! I have done a similar thing in years past, but I have never been this organized:) We love the Storybook Bible and look forward to counting down the days until Christmas! you’re welcome heather. hope this makes it easier for you this year. 😉 have a great christmas! Thank you so much for the reading plan! Just found this tonight, but I love it for next year! I made clay Jesse Tree ornaments using the Jesus Storybook Bible illustrations for inspiration a few years ago. Love how this all ties together! I just read reiews on Amazon of this book just to get a better idea about it. Some people wrote there are several inaccuracies and “add-ons” in stories. Do you find this to be true? I don’t want to share a book with my children if it’s not truthful. Any thoughts you can share would be appreciated:). I think it’s wonderful. However, my personal opinion is that many OT stories are too adult-themed for small children and best left for older children (Abraham & Isaac, etc.) and so for those stories I tend to skip over them or tell my own 3-year-old appropriate version anyway. That’s just me and my personal conviction. But, yes, I love this bible. The language and artwork is inspiring. If you’re concerned, perhaps visit a library or Christian bookstore and thumb through it first. But honestly, I think it’s wonderful! Thank you so much! We love the Jesus Story book Bible and this is wonderful. Our favorite thing to do during advent is to pray over an unreached people group each night. Our friends made an Advent Calendars and 24 nations dolls to go with it. The dolls are small ornaments and they each have card (in story format) about them. We read our Bible story, then read the card and pray for these people that God loves and also came for. It is such a beautful, rich time. Please have a look at their site (and they have women in India make them so 100% of the proceeds goes to impoverished women. Thank you so much for this post! 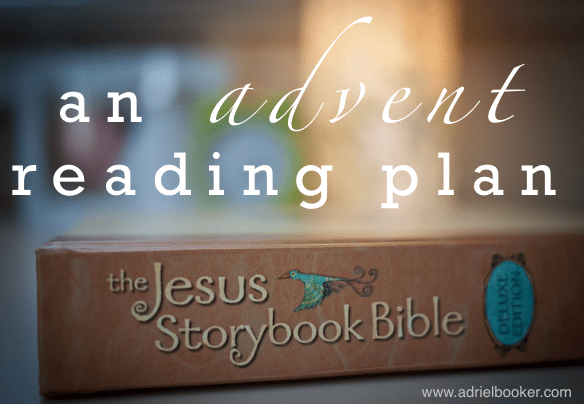 The Jesus Storybook Bible is on our Christmas List here and I love the idea of reading different stories [Old Testament and New] leading up to the birth of Jesus! On my blog I’m writing a roundup of the top ten advent activities and will be linking back to this post. I would love to use one of your pictures in that post if you wouldn’t mind. Thank you again for sharing! I just wanted to share my testimony, that I was reminded of as the kids and I read our daily reading “God Makes A Way,” from this plan. 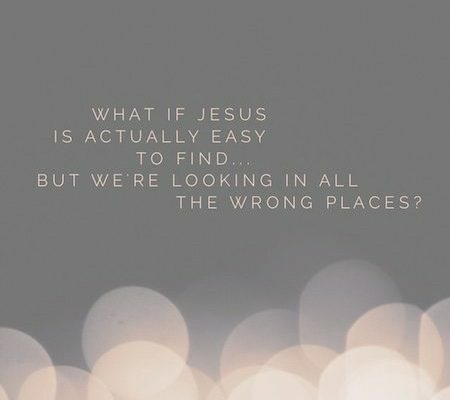 he kids and I have been following this plan and it’s been a daily reminder for ME as well, about God’s redeeming love and how He has a plan for us. 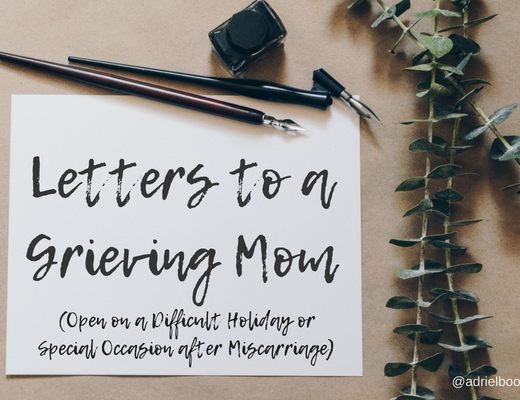 In the story about Moses and the Red Sea, I was reminded of our journey through infertility to conceive the girls and how I had NO idea what to do. Should we pursue adoption? Should we pursue fertility treatments? Should we just stop all thoughts of having more children? It was a confusing, devastating time. I wanted to do what God wanted me to do, but at the same time my heart was crying out for more children. After our devastating miscarriage in April 2011, I wasn’t sure that I even wanted to pursue anything else. We’d been met with obstacle after obstacle and it was heartbreaking every time we heard the word “no.” But I wasn’t listening and trusting God at that time. I was angry and jealous of others and sad and frustrated……but not trusting that God had a plan and would reveal it to us in due time. After our miscarriage we tried once more, only to be met with failure, and we were out of time. The army was moving us to Kansas from the Seattle area in June. When we met with our fertility specialist in Seattle and she asked what we wanted to do, we told her we were done. We told her that we were moving to Kansas and we were just done. She smiled and said, “My best friend from medical school works in an infertility clinic in kansas city. Here’s her name, if you change your mind.” God’s plan was beginning to be revealed. We moved and ended up meeting with the doctor and, long story short, became pregnant with twins the following January 2012. 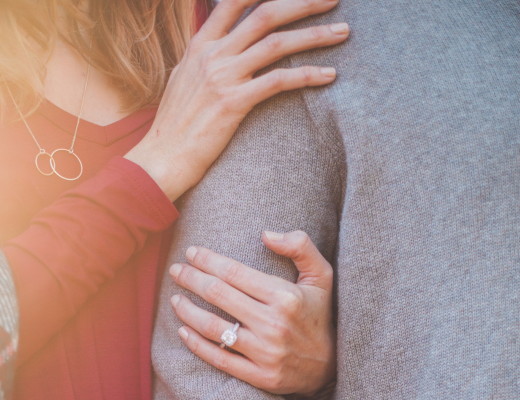 The whole infertility experience was a HUGE lesson in trust, patience, and God’s faithfulness. In the story from the Storybook Bible, Moses reminds the people, “God knows you can’t do anything! God will do it for you. Trust him. And watch!…..God will make a way!” And God did that for us. What are the odds that our fertility specialist’s best friend practiced in the EXACT place we were moving? 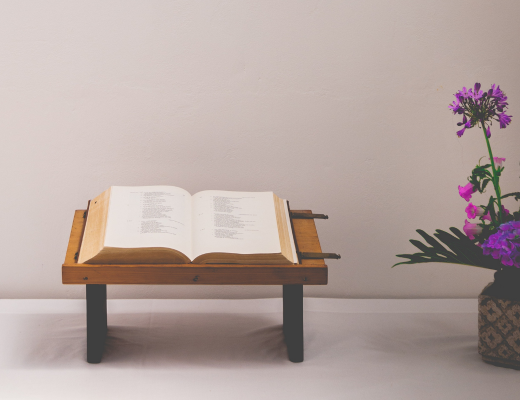 God knew the way–and one day, he showed us. Just as He promised. And my dreams came true, and now I have these three amazing kids who are strong and boisterous and humorous and smart and gorgeous and blessings every day, even when I’m at the end of my rope and feeling like a failure–I need to remember that God knows the way, and He will show me. I must trust Him. I must! I just wanted to share this testimony in case there are others out there struggling in some kind of life event and feeling like there’s no way to fix it. God knows your struggle. God knows the way. He will show you. He will lead you, if you only trust Him and listen to Him. You’ll know it’s His voice because it will leave you feeling at peace. You won’t feel sadness or fear or trepidation, only peace. Seek Him, praise Him, love Him through the storm. For 40 years Moses led his people through the desert. For 40 years they trusted and in the end they were rewarded with not only a home in paradise, but with their lineage eventually leading to the birth of Jesus. So trust Him, friends. Only good can come of trusting God. It should have just automatically redirected to the download after you signed up. Hmmmm, not sure why that didn’t work for you. I have your email address so will just email it to you Keanna. Merry Christmas! Did you get my email, Toni? I bought these at a store about 5-6 years ago called Adair Homes. Are you in Australia? I’ve seen similar ones in Myer this year. Hope that helps! This looks fantastic! My 18month old twins and I are going will be giving this a try this year for #Christmas2015. Welcome. I'm so glad you're here. My name is Adriel and I’m all about telling stories of truth, discovery, and redemption. 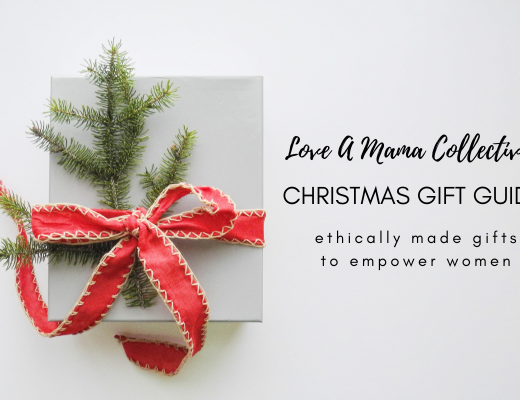 My husband and I lead an inner city missions community in Sydney, Australia and I'm the founder and lead advocate of the Love A Mama Collective (empowering girls and women in the developing world). 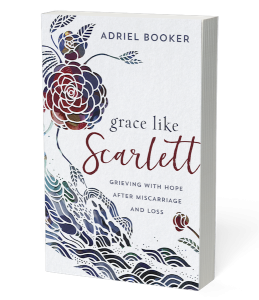 I'm also the author of Grace Like Scarlett: Grieving with Hope after Miscarriage and Loss. I absolutely love helping people connect their passion and purpose as they discover the goodness of God, and I hope my words here will always inspire you to see the beauty around you and within you, even when life feels a little broken. Walking alongside hurting people in their pain is a sacred privilege. © Adriel McIntosh Booker 2018. All Rights Reserved.